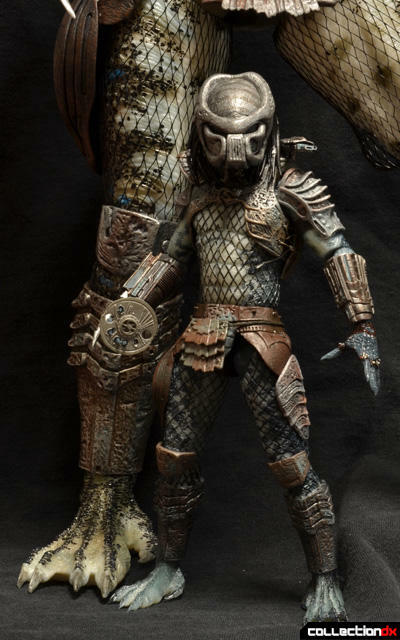 NECA (National Entertainment Collectibles Association) has been producing high quality licensed collectibles for over a decade now. They entered the market at a time where companies like McFarlene Toys were prioritizing sculpt and detail over articulation and fun. 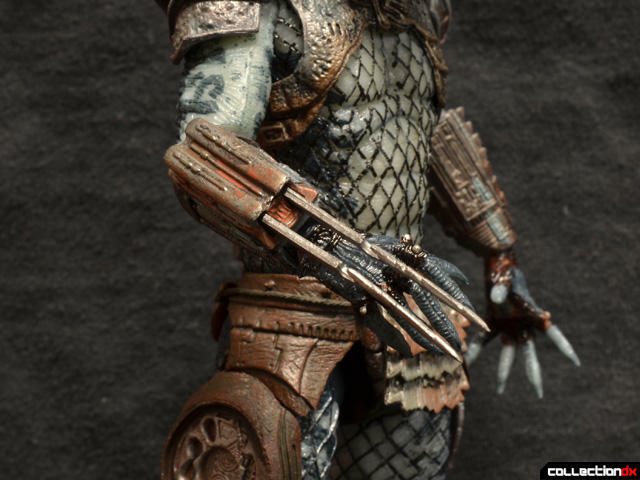 Thankfully that trend has faded away, and NECA's Reel Toys division has been producing some excellent licensed action figures that manage to balance detailed sculpts with sharp paint and enough articulation to be satisfying action figures. 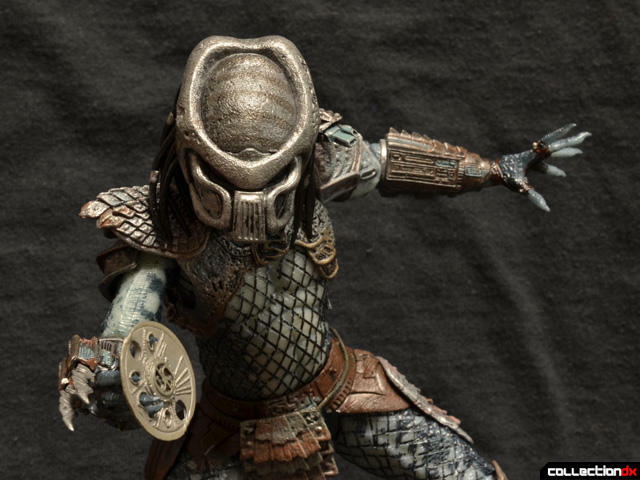 NECA has been taking full advantage of the Predator license since 2011, churning out a bevy of Predator figures based on the franchise's numerous films. 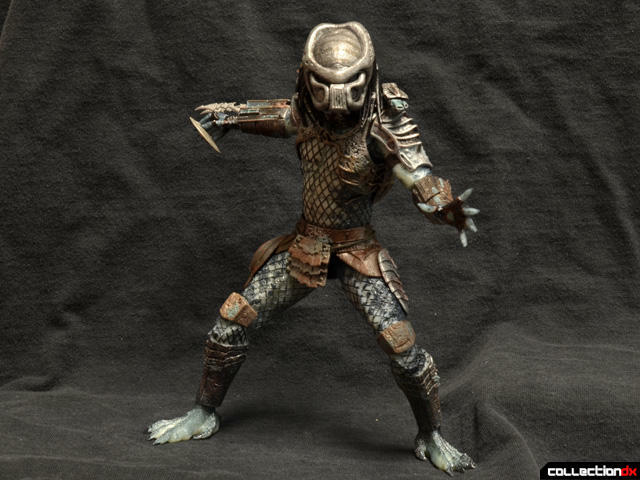 The Warrior Predator known as Ram is a member of the Lost Tribe of Preds that appear at the end of Predator 2 to retrieve their fallen comrade, the City Hunter. 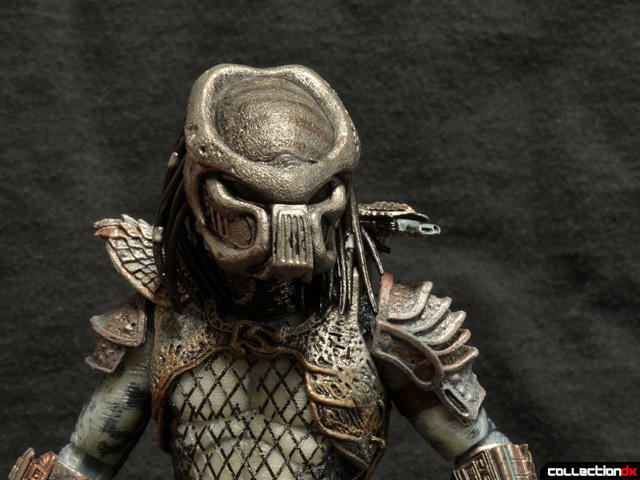 Ram does not do or say anything, but has a cool helmet design that makes for a good looking Predator figure. Ram's only accessory is a smart disc that can be stored in the leg pouch. Ram stands around seven inches tall and is mostly a repaint of the City Hunter mold. 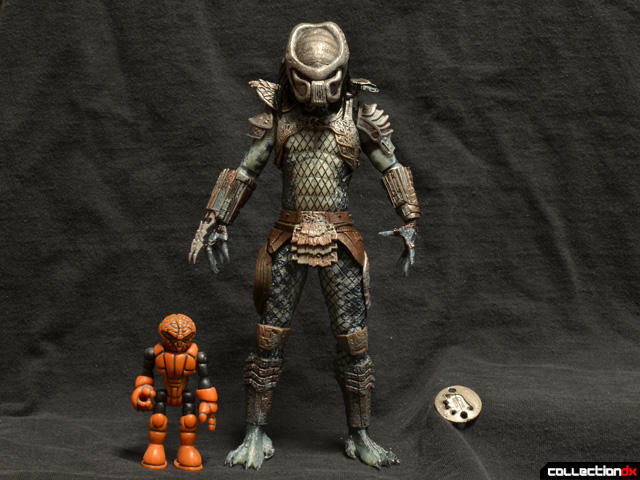 That's okay by me, because the Lost Tribe style body and armor are great. The soft parts move convincingly and the detail is excellent. The smart disc is made of hard plastic and sort of fits into the soft plastic holster on the leg. There is a little bit of lip on the holster to hold the disc, but it is a bit fiddly. Ram features a hand designed to hold the smart disc, and that all works great. The fingers all fit into specific holes on the disc and the disc fits securely. 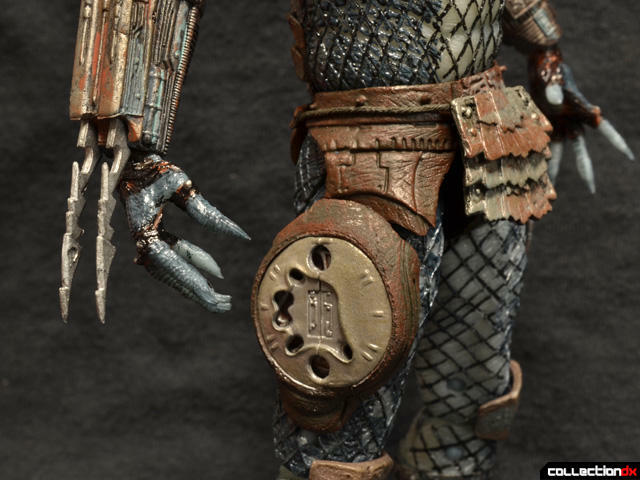 Ram also includes extendable wrist blades that feature more weathering than on some of the other Predators. Based on the condition of most of his equipment, Ram is probably a skilled and experienced hunter. Ram's unique helmet is the main draw here and looks great. 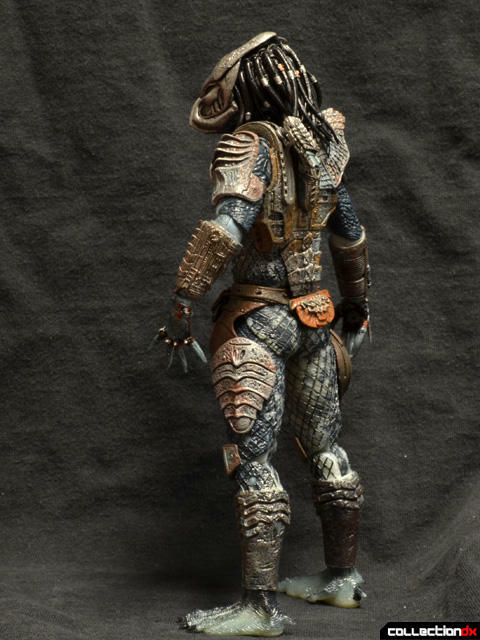 The pitted finish and subtle striping effect make for a menacing look. We can also see the Lost Tribe style plasma caster working correctly here, which was broken on my battle damaged City Hunter. The gun here feels plenty durable and moves smoothly. I prefer the larger style of plasma caster on the jungle hunter design, but the Lost Tribe style gun still complements the rest of the armor well. Ram looks great wielding his only accessory. The smart disc is a throwing weapon that can also be used as a hand blade. The disc is nice and thin and looks the part. 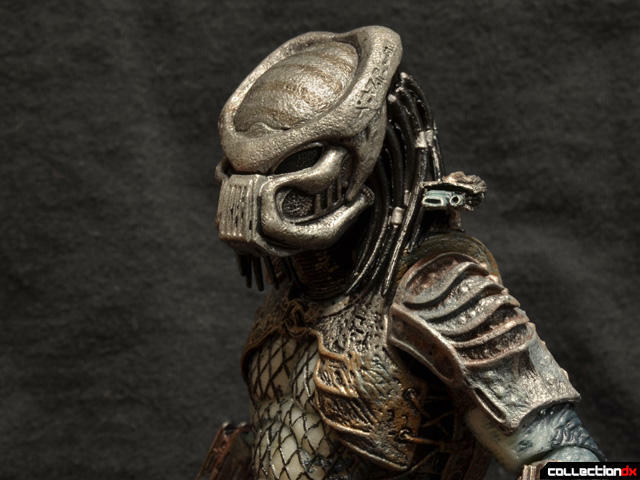 Ram is a great simple Predator design. He makes for a fun figure with few frills that just does what it is supposed to. He's an awesome figure for a character that stands in the background of one scene. For eighteen dollars, I could not be happier. I love the colors and helmet in this guy, and he makes for a great desk toy.